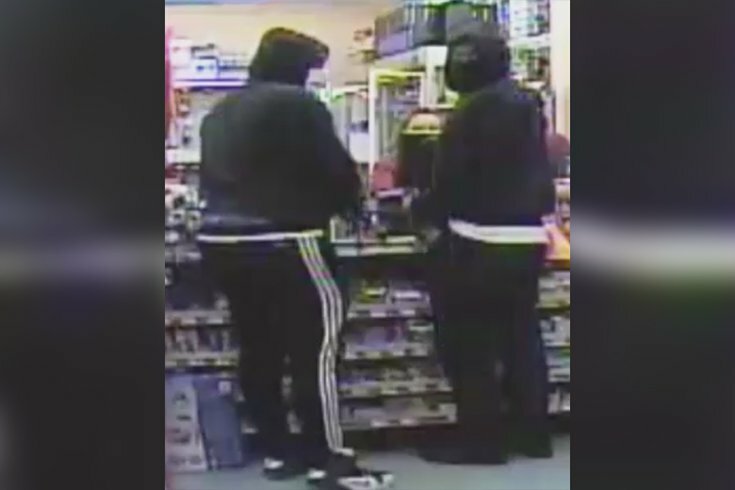 Police are asking the public for help Tuesday identifying two men who committed an armed robbery at a dollar store in the Mount Airy section of Philadelphia. The robbery, which was captured on security footage, occurred Friday around 9:30 p.m. at the Dollar General located at 6555 Greene Street. Authorities said the suspects approached two store employees at the cash registers. One of the men demanded money and lifted up his shirt to reveal a silver handgun that was tucked in the front of his pants. Both employees complied and gave the men $200. Police describe both suspects as 6-foot-2 black men in their early 20's with heavy builds and dark complexions. Anyone with information is urged to contact the Northwest Detective Division at (215) 686-3353/3354 or text a tip to 773847. Tips can also be sent anonymously to police here.